Product prices and availability are accurate as of 2019-04-16 19:17:12 EDT and are subject to change. Any price and availability information displayed on http://www.amazon.com/ at the time of purchase will apply to the purchase of this product. 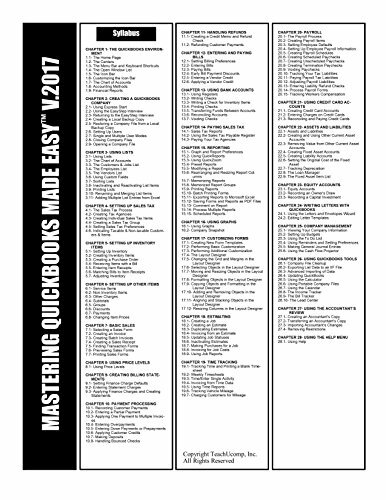 Learn QuickBooks Pro 2017 accounting software with this comprehensive course from TeachUcomp, Inc. Mastering QuickBooks Made Easy features 185 video lessons with over 9 hours of introductory through advanced instruction. With full access online for one year (including any updates). Watch, listen and learn as your expert instructor guides you through each lesson step-by-step. During this media-rich learning experience, you will see each function performed just as if your instructor were there with you. Reinforce your learning with the text of our two printable classroom instruction manuals (Introductory and Advanced), additional images and practice exercises. 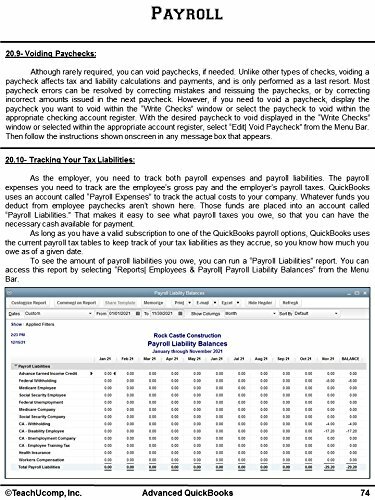 You will learn how to set up a QuickBooks company file, pay employees and vendors, create custom reports, reconcile your accounts, use estimating, time tracking and much more. Whether you are completely new to QuickBooks or upgrading from an older version, this course will empower you with the knowledge and skills necessary to be a proficient user. We have incorporated years of classroom training experience and teaching techniques to develop an easy-to-use course that you can customize to meet your personal learning needs. 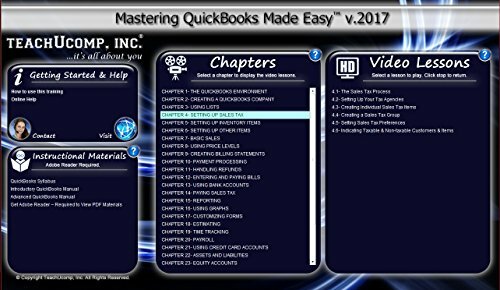 Simply launch the easy-to-use interface, click to start a video lesson or open one of the manuals and you are on your way to mastering QuickBooks. 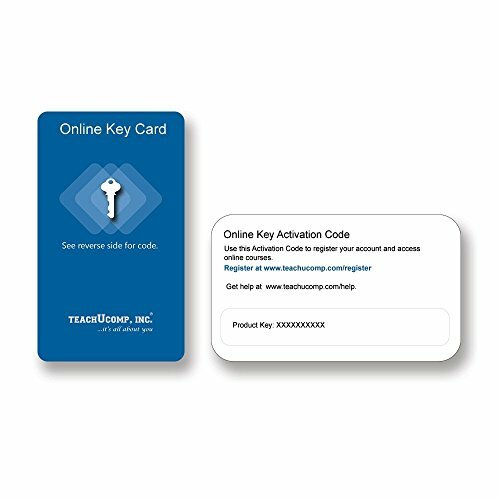 An Online Key Card (OKC) makes accessing your TeachUcomp courses fast and easy. No media needed. No downloads or installation required. Simply register your account using the activation code located on the back of your Key Card that is shipped to you. This CPE package includes everything you need. You will receive all the video lessons, printable instruction manuals, a practice exam with answers and evaluative feedback to help you learn, your final exam submission and certificate of completion.